UK retailer GAME has announced a new partnership with Gaming PCs and peripheral maker Razer. The arrangement will mean that "a host of new and exciting PC gaming accessories currently not widely available in the UK will be available in store and at GAME.co.uk," according to a press release. GAME is seeking to make more of the growing high-value PC gaming market. As recently reported by HEXUS, PC games sales are set to eclipse the value of console games sales next year. With PC gaming growing to dominate the industry it makes sense for a store like GAME to clear space on its shelves for more PC peripherals and accessories, alongside PC games software. 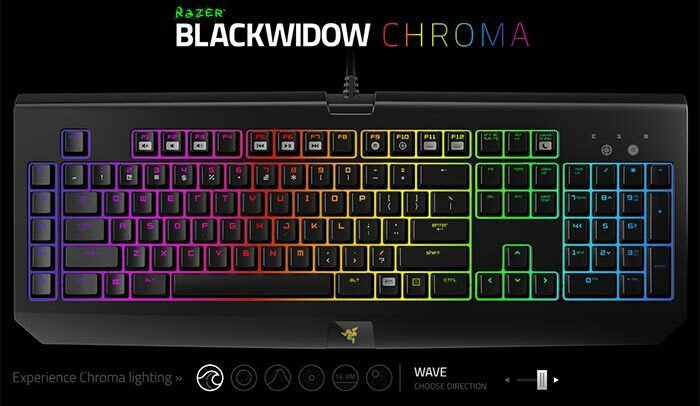 The press release from GAME states that it will start to stock the Razer Chroma range of peripherals, among others. 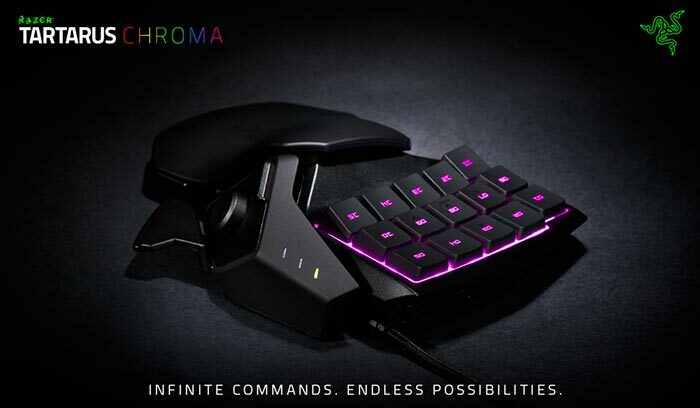 The Chroma range encompasses keyboards, mice, headsets, and even a mousemat. All these peripherals offer 16.8 million colour lighting effects and customisation options. GAME says that the new Razer deal is evidence of its focus on developing the PC business. Later this year it will bring Valve's Steam Link and Steam Controller "exclusively to UK retail". Other PC peripheral partnerships are earmarked for expansion over the coming weeks, namely those with; Thrustmasters, SteelSeries, Mad Catz, Beyond Tech and Logitech. "This partnership is another great step towards ensuring that PC gamers are completely at the forefront of GAME’s customer proposition," said GAME Retail MD Charlotte Knight. "PC gamers should definitely stay tuned for more information from GAME over the weeks and months ahead," she added. That's good to hear, more availability is always nice even though I didn't really come to ‘grips’ with their Imperator. Well more availability is always nice, in the event I for some reason ever actually want Razer gear however I think I'll stick to sources like Amazon, Game atleast in the past have stuck very closely to RRP, their stuff is expensive enough elsewhere without paying RRP for it. Still, good to see Game are gradually stocking more PC stuff, still got a long way to go though, and with Steam being as big as it is, I wonder if Game knocked themselves out of the PC market prematurely. Yeah razer is seriously overpriced, I usually go with steelseries which is slightly less so. We'll have to see what prices UK get. Nice, I don't particularly like Razer but computer products in general are always more difficult to get around here so this is welcome. I really don't like how they've evolved the old Belkin Nostromo into Tartarus range.